Ok I must admit I love “The Rock”, aka Dwayne Johnson, or whatever you want to call him. I will watch a movie just because he is in it. Yep I’m that kinda girl, all about the actors. So I would love to see Journey 2. So what would you bring if you were going to a mysterious Island. This is a hard question when you have no idea what the weather would be like: bathing suit? snow suit? No matter what you would bring why not take a second and enter for a chance to win below. Disclaimer: Giveaway sponsored by the company or representing PR agency. Opinions are my own and NOT influenced by monetary compensation. You may read more of my disclosure here. Yes we saw the first! I have not seen it. But I might have too!!! we saw both and loved them. We did see the first one! Yes,i really enjoyed the first movie!! No, I did not. But I definitely will put these on my list of movies to see. I took my kids to see it at the dollar movie and we really liked it! I would love to see it again! No, but the kids did with their grandparents. No I haven’t yet, my kids have though. Yes, we enjoyed the first movie, and the original! No, I didn’t see it. Yes, I really enjoyed the first movie. I missed this one in theaters but I can’t wait to see it! Yes the first one! And I took my son to see this one in the theater. Ya I really liked it. Yes I saw the first movie and really liked it. I haven’t seen this one. I haven’t my brother has and he would really like this movie. Saw the movie and it was great. The Rock has found his nitch in movies. I’ve seen the first one, but haven’t seen this yet. Yes, and I enjoyed it. 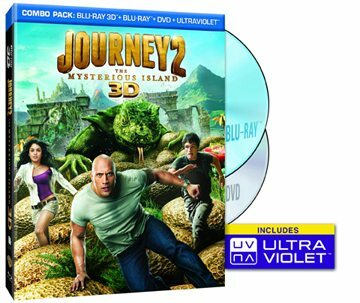 But I enjoyed Journey 2: The Mysterious Island, even more! And I would love to be able to win a copy and enjoy it again with my family. Thanks for the chance. I did watch the first movie and would really like to see this one. Thanks. We did watch the first movie and really liked it. “One 8-ounce glass of 100 percent orange juice provides half of the USDA-recommended daily fruit intake for most adults.” That is so cool, and EASY to do everyday! I saw the first one and loved it. we all saw the together and it was very entertaining! Yes, I saw the first movie. It was good. I have not seen the first movie yet, but plan on it. No but I wanted to! So I would like to win the – Journey 2 DVD Gift Pack – so I can get a chance to see this cute movie. Please! nope, but have seen this and we all love it ! I have not seen the first movie.